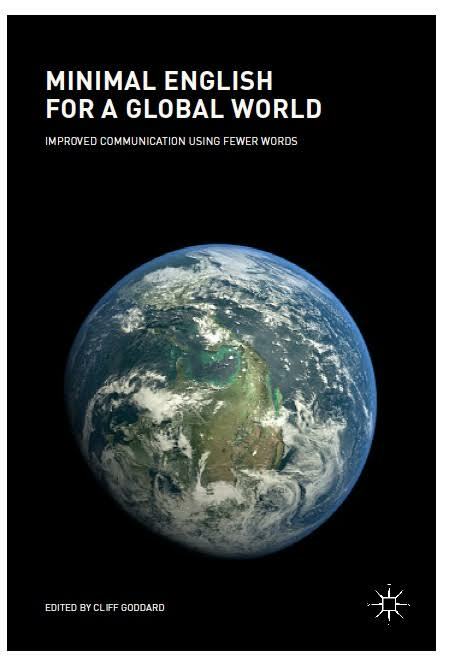 This book introduces a new tool for improving communication and promoting clearer thinking in a world where the use of Global English can create numerous comprehension and communication issues. Based on research findings from cross-linguistic semantics, it contains essays and studies by leading experts exploring the value and application of ‘Minimal English’ in various fields, including ethics, health, human rights discourse, education and international relations. In doing so, it provides informed guidelines and practical advice on how to communicate in clear and cross-translatable ways in Minimal English. This innovative edited collection will appeal to students and scholars of applied linguistics, language education and translation studies. This volume brings together latest research on the semantics of nouns in a range of languages, including English, Mandarin Chinese, Russian, the Papuan language Koromu, the Dravidian language Solega, and Pitjantjatjara/Yankunytjatjara from Australia. Chapters offer detailed analyses of scores of individual nouns across a range of conceptual domains, including 'people', 'places', and 'living things', with each analysis fully grounded in a unified methodological framework. The studies show how in-depth meaning analysis can shed light on many subtle grammatical phenomena and lead to unexpected insights into ways in which speakers of different languages conceptualize, categorize, and order the world around them. The authors engage with research in multiple disciplines, including psychology, anthropology, and philosophy. Music is a widely enjoyed human experience. It is, therefore, natural that we have wanted to describe, document, analyse and, somehow, grasp it in language. This book surveys a representative selection of musical concepts in Chinese language, i.e. words that describe, or refer to, aspects of Chinese music. Important as these musical concepts are in the language, they have been in wide circulation since ancient times without being subjected to any serious semantic analysis. The current study is the first known attempt at analysing these Chinese musical concepts linguistically, adopting the Natural Semantic Metalanguage (NSM) approach to formulate semantically and cognitively rigorous explications. This volume presents studies of “happiness-like” and “pain-like” expressions across a range of languages (including Chinese, Danish, English, French, Japanese, Koromu, and Spanish), undertaken using the NSM method of semantic and cultural analysis. At the same time as probing the precise linguistic meanings of the expressions in question, the authors provide extensive cultural contextualization, showing in some detail how the meanings they are analyzing are truly “cultural meanings. In a series of cross-cultural investigations of word meaning, Cliff Goddard and Anna Wierzbicka examine key expressions from different domains of the lexicon - concrete, abstract, physical, sensory, emotional, and social. They focus on complex and culturally important words in a range of languages that includes English, Russian, Polish, French, Warlpiri and Malay. Some are basic like men, women, and children or abstract nouns like trauma and violence; others describe qualities such as hot, hard, and rough, emotions like happiness and sadness, or feelings like pain. This fascinating book is for everyone interested in the relations between meaning, culture, ideas, and words. They ground their discussions in real examples from different cultures and draw on work ranging from Leibniz, Locke, and Bentham, to popular works such as autobiographies and memoirs, and the Dalai Lama on happiness. Imprisoned in English argues that in the present English-dominated world, social sciences and the humanities are locked in a conceptual framework grounded in English and that most scholars in these fields are not aware of the need to break away from this framework to reach a more universal, culture-independent perspective on things human. Indeed they are typically not aware that any problem exists, and resistant to its being pointed out. The book engages with current debates across a range of disciplines, including philosophy, anthropology, sociology, evolutionary science, psychology, and cognitive science, as well as linguistics. This book provides a fresh approach to Singapore English, by focusing on its cultural connotations. The author, a native Singaporean, explores a range of aspects of this rich variety of English - including address forms, cultural categories, particles and interjections – and links particular words to particular cultural norms. By using the Natural Semantic Metalanguage (NSM) approach, which is free from technical terminology, he explains the relationship between meaning and culture with maximal clarity, and an added strength of this study lies in its use of authentic examples and pictures, which offer a fascinating glimpse of Singaporean life. Through comparisons with Anglo English, it also explores some difficulties associated with Standard English and cultural misunderstanding. Lending a unique local perspective and written with an incisiveness that makes it ideal for both academic and non-academic readers, this book will appeal to all those interested in Singapore English and its cultural values. Seven papers showing how NSM techniques (semantic explications, cultural scripts) can tap into social cognition of people from diverse cultures, while avoiding conceptual and terminological Anglocentrism. Languages include: Chinese, Russian, Danish, Koromu, Kayardild, Pitjantjatjara, Roper Kriol. 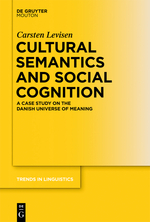 Presenting original, detailed studies of keywords of Danish, this book breaks new ground for the study of language and cultural values. Based on evidence from the semantic categories of everyday language, such as the Danish concept of hygge (roughly meaning, ‘pleasant togetherness’), the book provides an integrative socio-cognitive framework for studying and understanding language-particular universes. This lively textbook introduces students and scholars to practical and precise methods for articulating the meanings of words and sentences, and for revealing connections between language and culture. Topics range over emotions, speech acts, words for animals and artefacts, motion, activity verbs, causatives, discourse particles, and nonverbal communication. Alongside English, it features a wide range of other languages, including Malay, Chinese, Japanese, Polish, Spanish, and Australian Aboriginal languages. Undergraduates, graduate students and professional linguists alike will benefit from Goddard's wide-ranging summaries, clear explanations and analytical depth. Meaning is fundamental to language and linguistics. This book shows that the study of meaning can be rigorous, insightful and exciting.